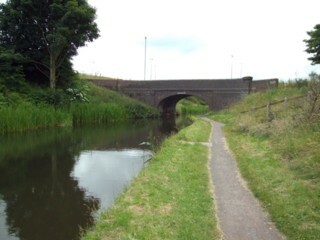 Anglesey Bridge seen from Ogley Junction. Le Pont d'Anglesey vu du Sud. 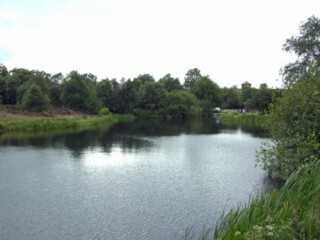 Anglesey Bridge seen from the South. Anglesey Bridge seen from the North. Le Pont d'Anglesey vu du Nord. Looking to the South, the Anglesey Branch of Wyrley & Essington Canal seen from Anglesey Bridge. Les regards portés vers le Sud, la Branche d'Anglesey du Canal de Wyrley & Essington vu du Pont d'Anglesey. 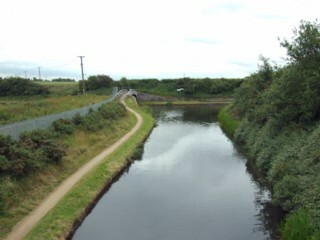 Looking to the North, the Anglesey Branch of Wyrley & Essington Canal seen from Anglesey Bridge. Les regards portés vers le Nord, la Branche d'Anglesey du Canal de Wyrley & Essington vu du Pont d'Anglesey. 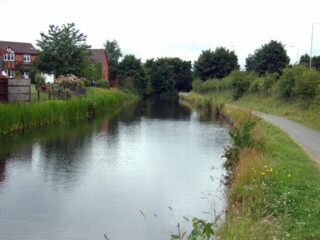 Looking to the South, the Anglesey Branch of Wyrley & Essington Canal to the North of Anglesey Bridge. Les regards portés vers le Sud, la Branche d'Anglesey du Canal de Wyrley & Essington au Nord du Pont d'Anglesey. 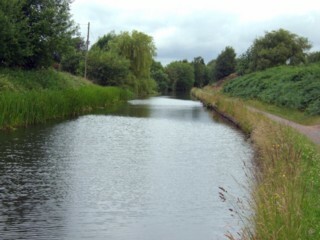 Looking to the West, the Anglesey Branch of Wyrley & Essington Canal to the East of Middleton Bridge. Les regards portés vers l'Ouest, la Branche d'Anglesey du Canal de Wyrley & Essington à l'Est du Pont de Middleton. 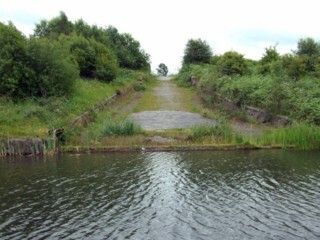 Anglesey Aqueduct seen from the South. 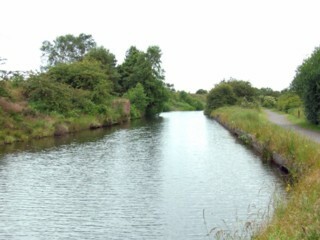 Le Pont Canal d'Anglesey vu du Sud. 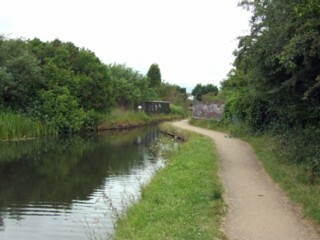 Anglesey Aqueduct seen from the North. 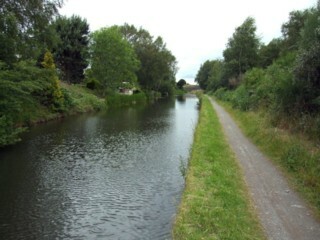 Le Pont Canal d'Anglesey vu du Nord. 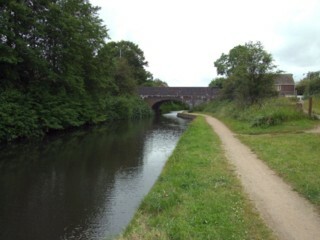 Looking to the West, the Anglesey Branch of Wyrley & Essington Canal to the West of Middleton Aqueduct. Les regards portés vers l'Ouest, la Branche d'Anglesey du Canal de Wyrley & Essington à l'Ouest du Pont Canal de Middleton. 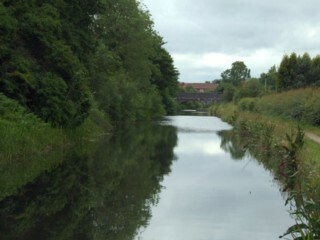 Freeth Bridge seen from the West. Le Pont de Freeth vu de l'Ouest. 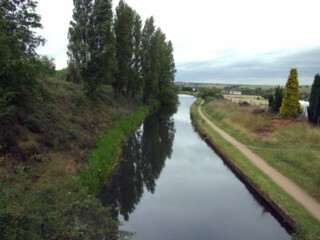 Looking to the West, the Anglesey Branch of Wyrley & Essington Canal seen from Freeth Bridge. 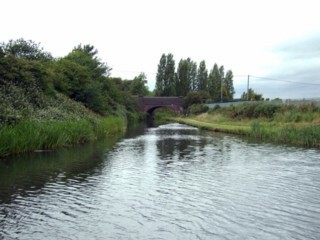 Les regards portés vers l'Ouest, la Branche d'Anglesey du Canal de Wyrley & Essington vu du Pont de Freeth. 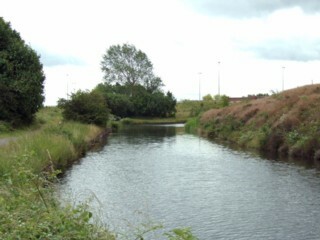 Looking to the West, the Anglesey Branch of Wyrley & Essington Canal to the West of Freeth Bridge. Les regards portés vers l'Ouest, la Branche d'Anglesey du Canal de Wyrley & Essington à l'Ouest du Pont de Freeth. 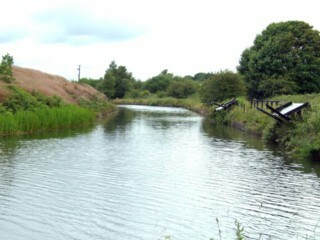 Looking to the East, the Anglesey Branch of Wyrley & Essington Canal to the West of Freeth Bridge. Les regards portés vers l'Est, la Branche d'Anglesey du Canal de Wyrley & Essington à l'Ouest du Pont de Freeth. 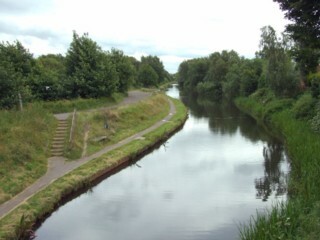 Looking to the West, the Anglesey Branch of Wyrley & Essington Canal to the East of Burntwood Road Bridge. Les regards portés vers l'Ouest, la Branche d'Anglesey du Canal de Wyrley & Essington à l'Est du Pont de la Burntwood Road. 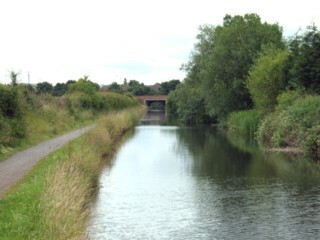 Looking to the East, the Anglesey Branch of Wyrley & Essington Canal to the East of Burntwood Road Bridge. Les regards portés vers l'Est, la Branche d'Anglesey du Canal de Wyrley & Essington à l'Est du Pont de la Burntwood Road. 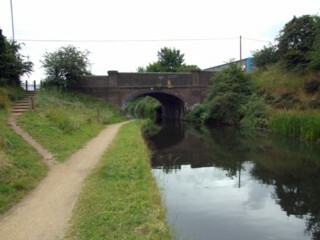 Burntwood Road Bridge seen from the West. 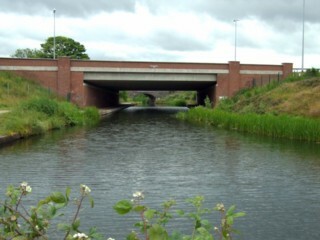 Le Pont de la Burntwood Road vu de l'Ouest. 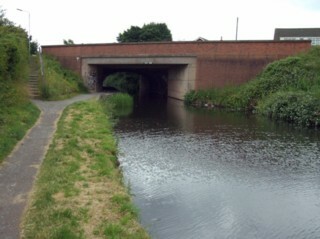 Burntwood Road Bridge seen from the East. 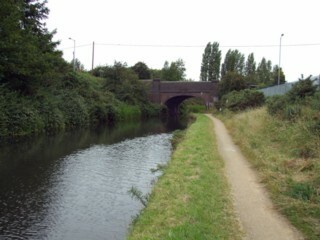 Le Pont de la Burntwood Road vu de l'Est. 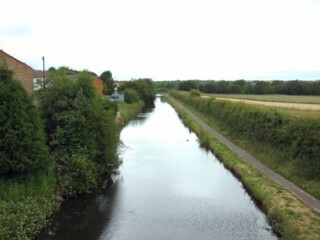 Looking to the East, the Anglesey Branch of Wyrley & Essington Canal seen from Burntwood Road Bridge. Les regards portés vers l'Est, la Branche d'Anglesey du Canal de Wyrley & Essington vu du Pont de la Burntwood Road. 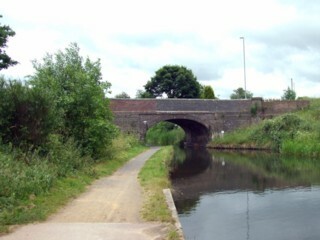 Anglesey Wharf Bridge seen from the North. Le Pont des Chantiers d'Anglesey vu du nord. 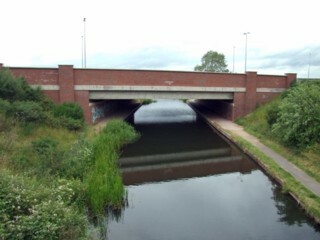 Anglesey Wharf Bridge seen from Burntwood Road Bridge. 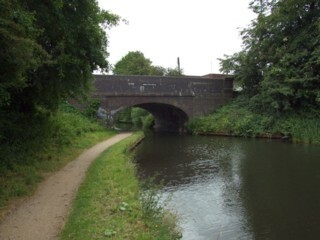 Le Pont des Chantiers d'Anglesey vu du Pont de la Burntwood Road. 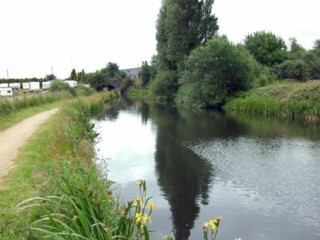 Looking to the West, the Anglesey Branch of Wyrley & Essington Canal to the West of Anglesey Wharf Bridge. Les regards portés vers l'Ouest, la Branche d'Anglesey du Canal de Wyrley & Essington à l'Ouest du Pont des Chantiers d'Anglesey. 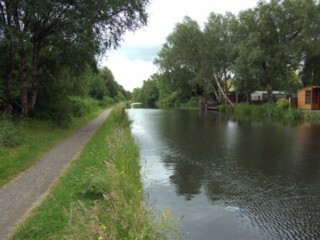 Looking to the East, the Anglesey Branch of Wyrley & Essington Canal to the West of Anglesey Wharf Bridge. Les regards portés vers l'Est, la Branche d'Anglesey du Canal de Wyrley & Essington à l'Ouest du Pont des Chantiers d'Anglesey. 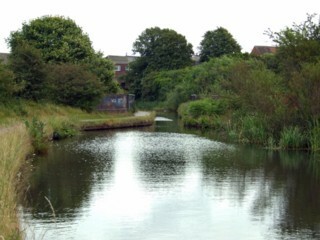 The West of Anglesey Wharf Bridge. A l'Ouest du Pont des Chantiers d'Anglesey.